The hotel is undergoing renovation and remodeling. 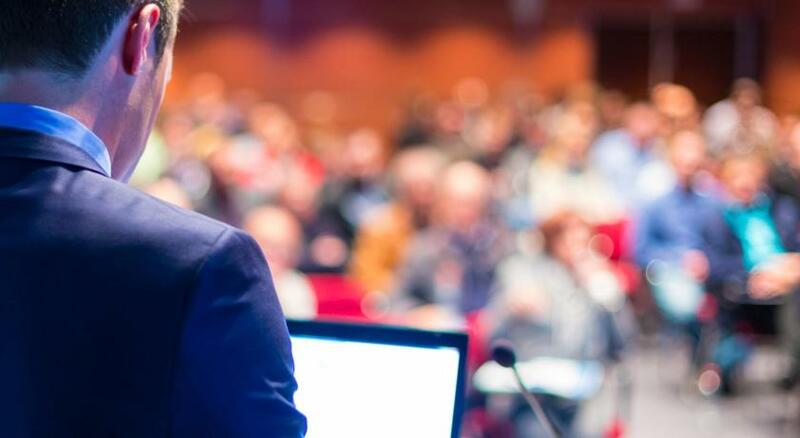 The staff however need no improvement they are uniformly friendly and very helpful. The location is excellent and the hotel has its own garage as an added plus. An excellent choice for a reasonably priced hotel especially if you're driving. 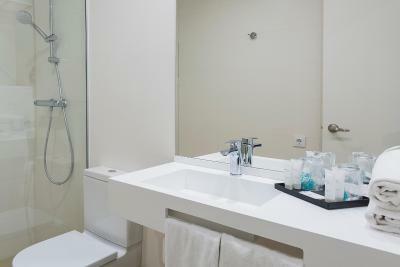 I like the convenient location, less than 15min walk to the airport bus, the cleanliness. Excellent location at the beach end of main street. Very helpful staff. Lovely room with balcony overlooking pool. Location is very convenient and close to a beautiful overlook to the Mediterranean. 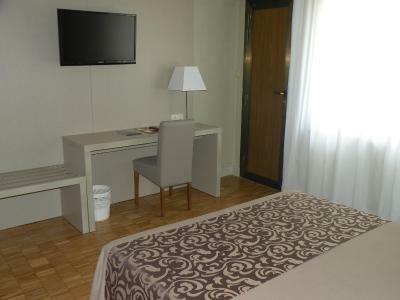 Rooms seem to have been recently renovated and is quite comfortable. 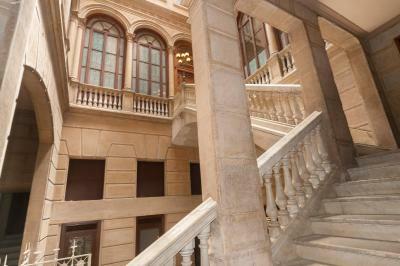 The hotel is in a great location right off the Rambla. The morning receptionist was wonderful and told me all I needed to know about where to buy RENFE tickets and where to catch the bus to get to the station. Much appreciated. The breakfast was good and the discounted price for two or more days made it a good value. The room was immaculate and I loved the huge bathtub. 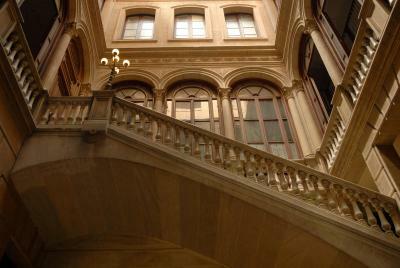 Location on Ramblas. Good location for shopping and restaurants. Ok for a three star hotel don't expect luxury. Go one up from the standard room its worth the extra. 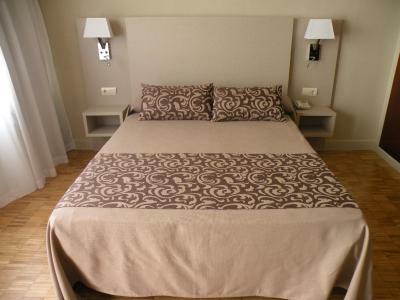 The only good point is the hotel is very close to the Rambla Nova and places of interest. 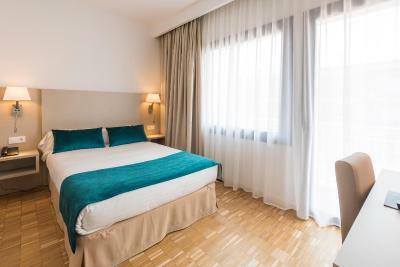 Hotel Lauria This rating is a reflection of how the property compares to the industry standard when it comes to price, facilities and services available. It's based on a self-evaluation by the property. Use this rating to help choose your stay! 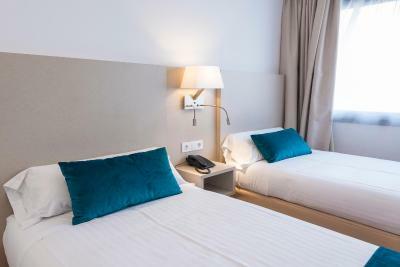 One of our top picks in Tarragona.Just 300 feet from the Balcón del Mediterráneo Viewpoint, Hotel Lauria is located on Tarragona’s main street, Rambla Nova. It offers an outdoor pool and air conditioned rooms with a balcony. The rooms at the Lauria feature parquet floors and dark wood furniture. Each one comes with flat-screen satellite TV and free Wi-Fi. The hotel serves a daily breakfast in the modern dining room, and there is also a bar. There is a variety of good restaurants within a 5-minute walk. 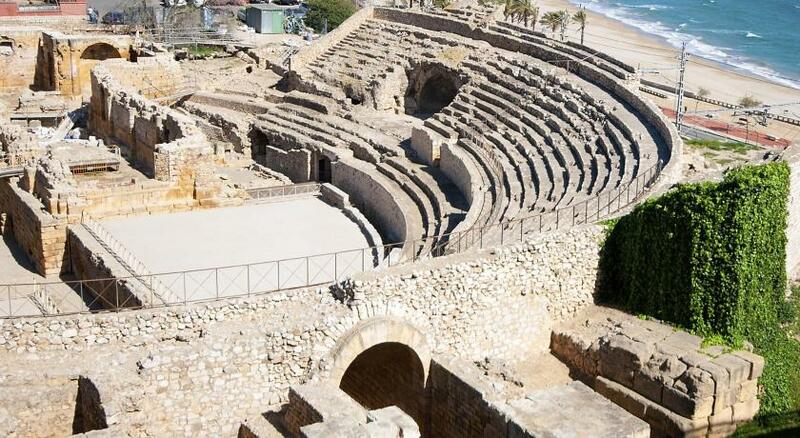 Tarragona Train Station is a 10 minute walk from the Lauria. You can walk to the city’s famous Roman amphitheater in 3 minutes. When would you like to stay at Hotel Lauria? This air-conditioned room features stylish, modern décor. It comes equipped with free Wi-Fi, satellite TV and a safe. It has a balcony and a private bathroom with a hairdryer. 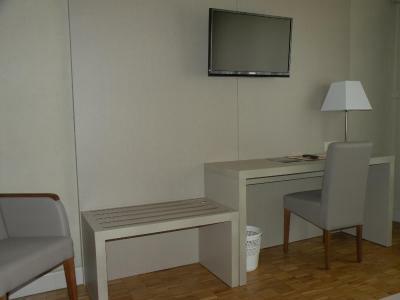 This air-conditioned room features free Wi-Fi, satellite TV and a safe. 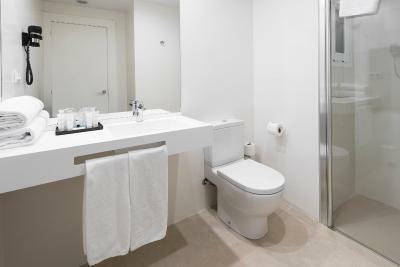 It comes with a private bathroom with a hairdryer. This suite has a spa bath, air conditioning and sofa. 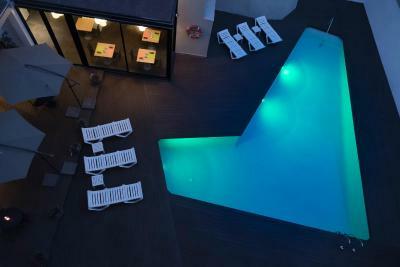 House Rules Hotel Lauria takes special requests – add in the next step! Hotel Lauria accepts these cards and reserves the right to temporarily hold an amount prior to arrival. The restaurant. For the breakfast, the plates were not clean at all. We need to replace five of them in a row. Very problematic to park and not very confortable to take down the suitcases in a very narrow street. The staff in the reception was very kind. The wifi connection is very weak/ actually non-existent in our room in 3rd floor. 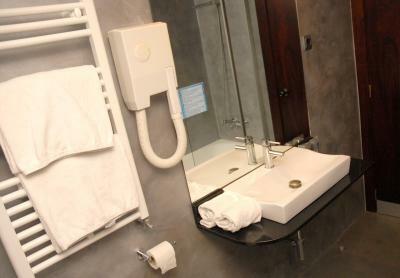 Spacious room, but that's because we had it upgraded to the one with jaccuzzi bathtub for addition 5 euro. The building work going on at the hotel. Nothing ! Great hotel !! Breakfast was great ! Loads to choose from !! Breakfast was well priced and offered more than expected. There is a large breakfast for 9 Euros and simple for 3. Nothing that I can mention. 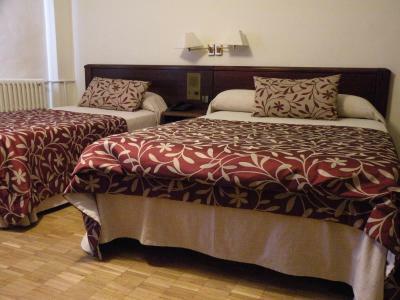 It has a great location, very big rooms and super comfortable.